Thinly slice half of an avocado. Keep slices together and start molding them into a line. Start folding one end inside and wrapping other end around in a circle. 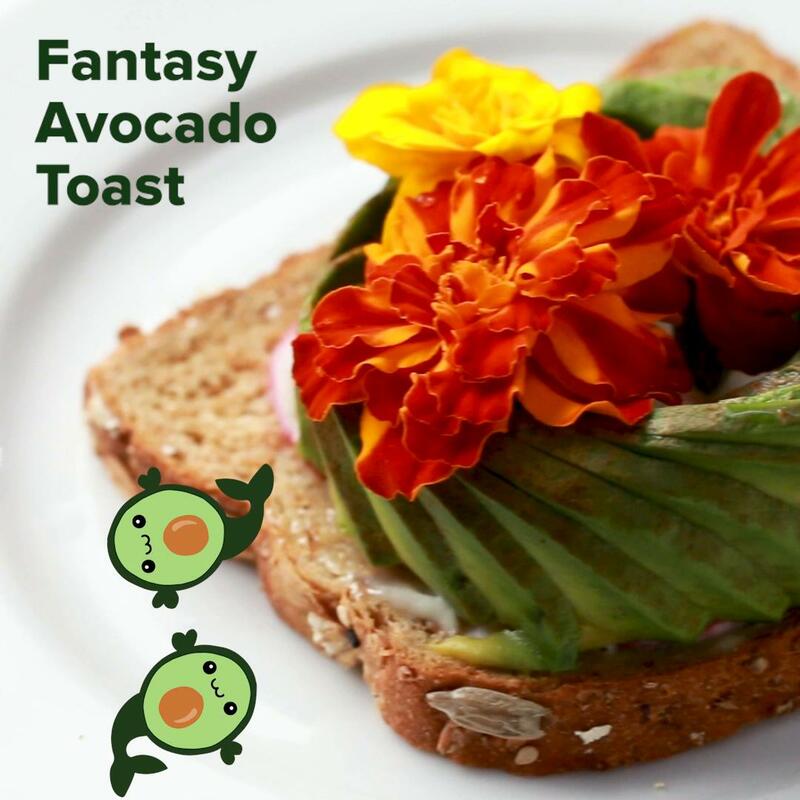 Place rose-shaped avocado on toast and add sliced strawberries at each corner of the toast. Practice making the rose on something else first. Feather out the petals once it’s on the toast, then top with an egg and some seasoning.